but most especially for the families affected by Typhoon Yolanda/Haiyan, who were endowed with a generous donation via the Philippine National Red Cross. This, on top of earlier donations they have made during the height of the typhoon relief efforts. It was also a wonderful opportunity to see friends I've made along the way, before the holiday craziness took over! Thanks so much Sangobion for hosting a fun & unique Christmas celebration, and especially for remembering our fellow Filipinos who need our help the most! Over the holidays, Berry & I discovered WeChat, the world’s 5th most-used smart phone app, and #1 in messaging apps. 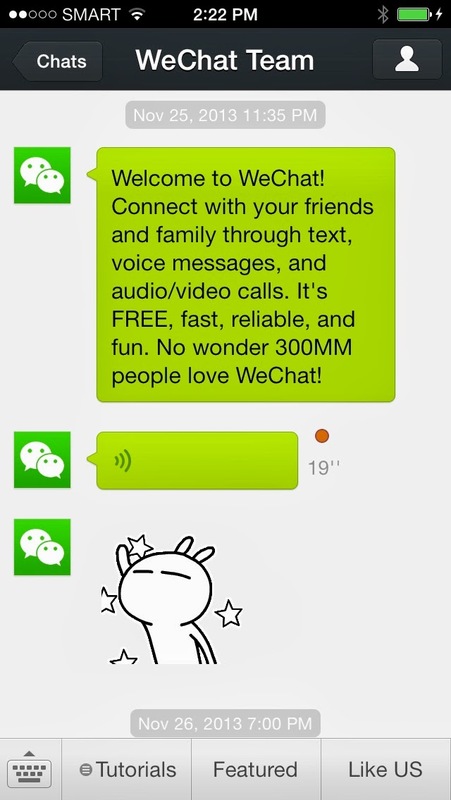 It has grown so fast that it only took WeChat 433 days to reach the 100mn user milestone. Consider this, Twitter and Facebook required 1,400 and 1,600 days get to the 100mn mark. As of November 2013, there were 300 million users on WeChat. It's so huge, even brands are part of it, and you can subscribe directly to their WeChat accounts to be first to hear about updates, exciting news, and get product info. Just like Viber & WhatsApp, it's a fun way to banter online with friends, make chismis in real time, and send silly stickers. But it provides a new way to connect online, in more ways than one. What makes WeChat different is it's location-based feature which allows you to find fellow WeChat users in an event, at work, or in school via scanning a QR code, shaking your phone or just searching for "people nearby". It's a great way to connect especially this holiday season, making it easy to gather family & friends together, for better or worse, haha. 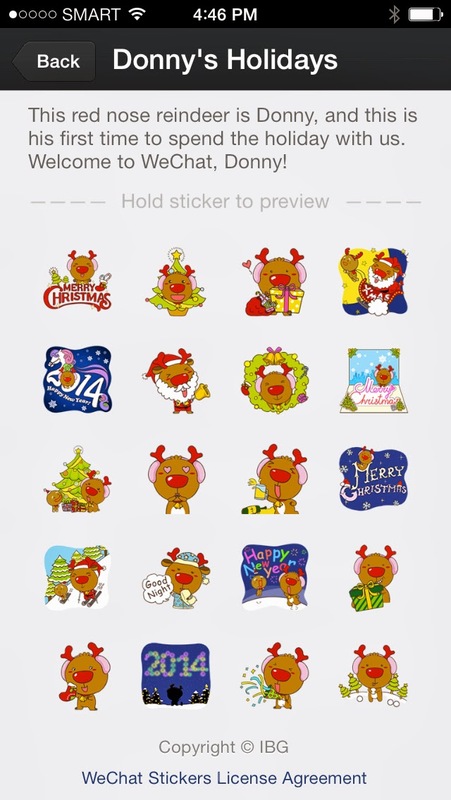 Apart from just cute Christmas stickers, that other messaging apps are also into, WeChat makes connecting over the holidays a lot more fun. 1. WeChat allows users to send digital Christmas & New Year cards! Even a version with your voice recording on it! 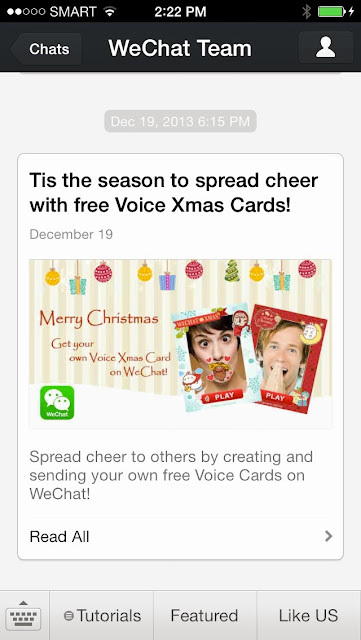 These fun cards can be sent out to family and friends via WeChat Moments or via the ‘Share to Facebook’ button. 2. Organize reunions easily with WeChat's Group Messaging that allows you to gather a group of up to 40 friends via text, voice, or video. 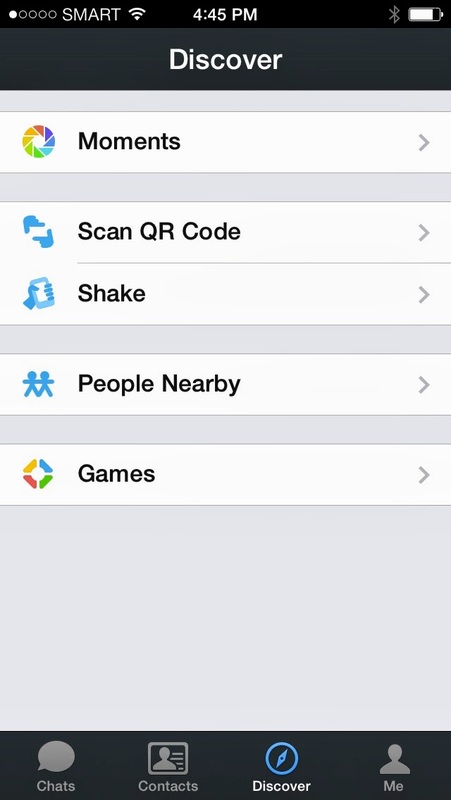 WeChat's location-based feature allows you to send maps of the party venue to friends in seconds. No more excuses of getting late to the party because they got lost on the way! 3. Complete shopping lists and send out your own wish lists by inviting family and friends to post their Christmas wishlists via WeChat's Moments feature, while you also give them the down low on what you want. That's hitting two birds in one. 4. Call relatives abroad via the WeChat Video Call integrated in the application. 5. 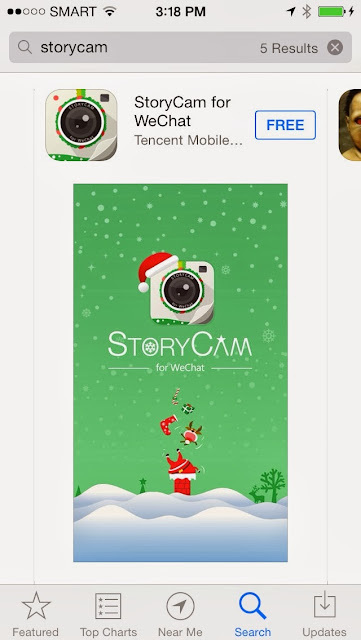 Tell your holiday story via StoryCam for WeChat. So you never have to miss out on the details, WeChat pins down your stories for you with Storycam, which is developed by Tencent solely for WeChat. StoryCam allows everyone to share their stories through themed photos including Featured, Place, Weather, Food, and Lifestyle. With StoryCam, users can start by capturing a photo, enhancing it using up to 15 free filters, applying real-time location, weather, and date updates, and even placing watermarks wherever you want on the photo. 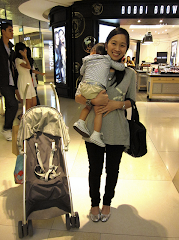 WeChat not only brings friends and families closer together, it allows us to do it in real time, and better than ever! 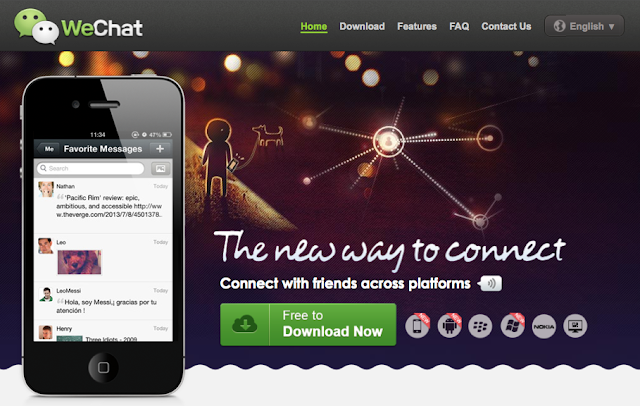 WeChat is an innovative mobile social communications application designed for smartphone users. WeChat is free for download from app stores running on Android, BlackBerry, iOS, Symbian and Windows Phone operating systems*. It is the most downloaded mobile social app in many markets with more than 300 million registered accounts in international markets. WeChat users can add friends via a wide range of innovative actions and methods, including scanning QR codes, connecting users’ phone books and activating location-based functions such as “People Nearby” and “Shake”. The platform enhances social interaction by supporting exchanging of text, voice and video, stickers, and photos with their friends over data networks or under Wi-Fi environments. 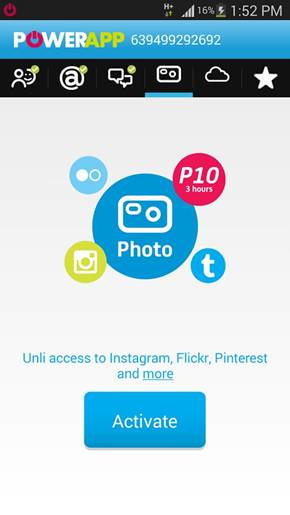 Users can choose to communicate one-on-one, or within their closed social network through “Moments”. I do not have the discipline for exercise. Ningas cogon? That's me in ratty work out clothes. I will be like, gung ho the first month, and then, totally delinquent the next. 1. Women only. Curves is especially focused on us women, and how our bodies respond to exercise and weight loss programs. Also, if you're the type to feel most comfortable in the company of other women, or you simply hate having to share equipment with sweaty, hairy guys, this is your kind of place. 2. No sugarcoating. This instrument is your frienemy. It measures your body fat and BMI. Before you start off at Curves, you are faced, if not slapped, by reality. Nothing will jolt you to the realization that you need to do something about your health stat than numbers that don't lie. Within range, but I do need toning, and I need to up my strength & endurance. 3. Self-reflection & Goal setting. I was forced to assess where I was and where I wanted to go. After all, there is no greater incentive than seeing yourself coming closer to your targets. But of course, everything is set on paper. 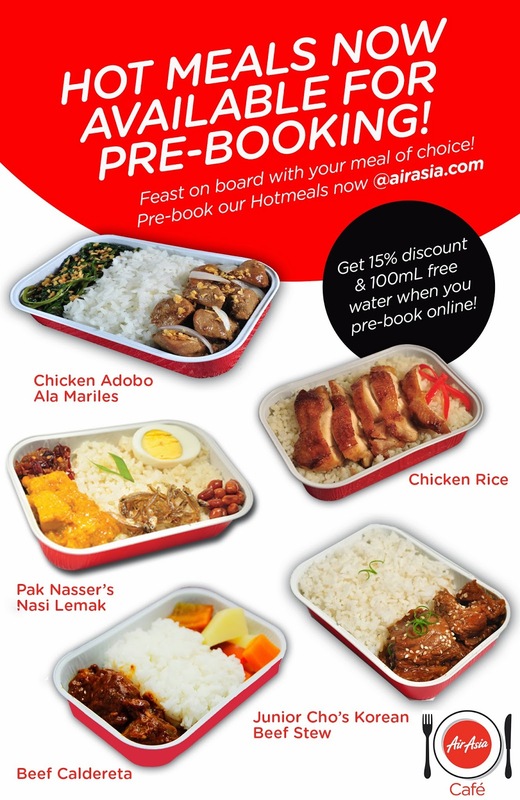 Pre-Book AirAsia Zest Hot Meals When You Fly! The last time I flew in a budget airline from Singapore to Manila, the in-flight meal I ordered for Berry tasted so artificial, almost medicinal, that I had to spit it out. Poor Berry had to make do without a real dinner during our flight because it was just not edible. Suffice it to say, we never flew budget again after that. You really get what you pay for. It was such a traumatic experience for me that I would rather pay extra for Singapore Airlines or PAL than ride a budget airline again. So it was with a curious and inquisitive journalist’s eye that I attended the AirAsia Zest Blogger’s Dinner where they presented their line up of rice meals, sandwiches and desserts along with the beverages they serve, both hot & cold in flight. We started off the evening with Chicken Caesar and Roasted Chicken with Sundried Tomato sandwiches that were quite delicious and fresh. This is the same quality passengers get when they board an AirAsia flight. There was also a choco banana pound cake that was moist and studded with generous sized chocolate chunks that quickly became a favorite that night. The sit down dinner followed with hot rice meals and a pasta dish, some of which are championed by an AirAsia Zest executive, hence the names: Chicken Adobo ala Mariles, Pak Nasser’s Nasi Lemak, Uncle Chin’s Chicken Rice, Junior’s Korean Beef Stew and Maan’s Pasta Arrabiata. These AirAsia HotMeals are available for both domestic and international flights originating from Manila & Cebu and the people responsible for these have truly outdone themselves in offering food that does not compromise on taste and quality. At AirAsia, you don’t have to worry about eating chips, peanuts or instant noodles on your flight. Or heaven forbid, those horrible tasting rice meals from budget airlines that shall not be named, that up to now leave a bad taste in my mouth. Flying out soon? 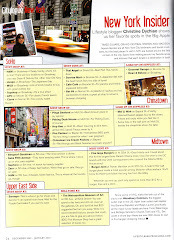 Book your flights now at airasia.com. AirAsia Zest, The Right Way to Fly. Between us online friends, I just wanted to show you what 1 session of Laser hair removal at Wink looks like. I am pretty impressed. There are bald spots already where hair has not grown back, and the ones that have grown are much thinner than they used to be. The stubbles that you see, where hair has not sprouted out yet in this photo eventually came out, but it took a while. I kind of went over my 6 week appointment and came back just yesterday, so I kind of shaved it off a couple of times already. Hair did grow a bit coarser after two to three shaves but I am pretty much happy with how there really is less hair growth after just 1 session. Keep you posted after my 3rd and 4th session! I am supposed to see results after the 4th visit! 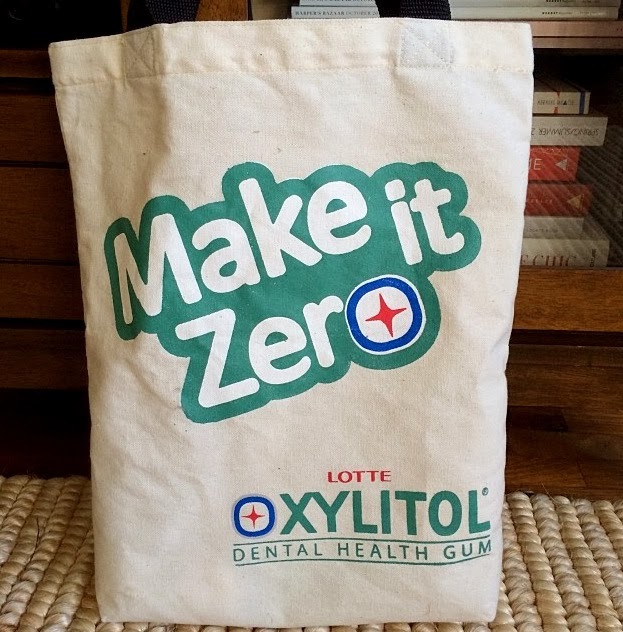 Lottle Xylitol & I are giving away 3 bags filled with LotteXylitol gum! Because with all the sweets you are eating this season, you better make sure the whole family is armed to the teeth against cavities! Simply join by using the Rafflecopter widget below! Contest is open only to residents of the Philippines or those with a Philippine address. Winner will be announced on December 18, 2013! Spruce Up Your Holiday with a SPRUCE Giveaway! 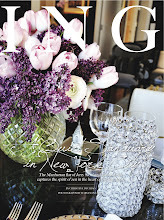 Racking your brain figuring out what to give the health nut in your life? Or maybe there's someone you care about and you want him/her to start living and eating healthy? Well, I just have the best gift idea. The sort that keeps on giving. 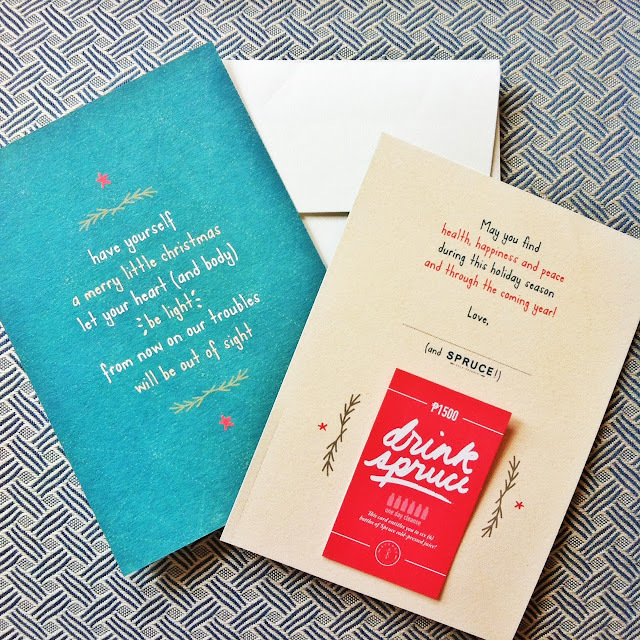 Presenting, the SPRUCE gift card. Tadaaaa! Part of sales proceeds from the SPRUCE Gift Cards will go to "BaHaiyan" a student led initiative focused on rehabilitation for those affected by typhoon Yolanda. Bulk / Corporate discounts are available. Gift cards have no expiry and payable via bank deposit. Cards should be ready in 2-3 days. 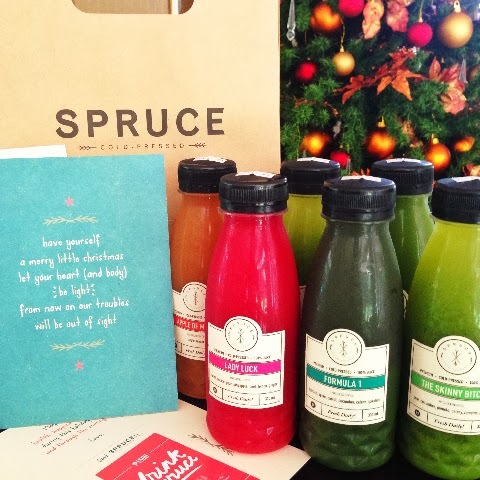 Recipient just needs to text 0917.897.2108 or email contact@drinkspruce.com to order preferred juices at least 2 days in advance. Juice will be delivered free of charge anywhere in Metro Manila for the Php1500 GC only. 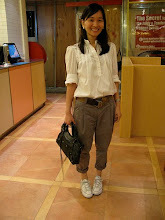 Pick-up at Plaza Cafe, Legaspi Village Makati for the Php1000, Php500, and Php200 GC's. Since it's the season of giving, SPRUCE & I are giving away 1 Php1500 GC to one lucky reader, for you to keep or give to a loved one who deserves this special treat! Just leave a comment on this blog post, answering "Who would you like to give SPRUCE to? ", LIKE SPRUCE on Facebook, and Follow @drinkspruce on Instagram and Twitter. 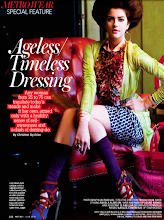 Contest ends on December 18, 2013 and winner will be announced on December 19, 2013. Enough time to make it to Christmas, woohoo! Well, first, it was a school night. Second, isn’t it much more fun dressing up with the actual clothes than seeing it on a mannequin, or say, on other kids? In fact, when I saw a gorgeous boho skirt at the MANGO Girls section, I immediately put together this outfit for Berry in my head, complete with the scarf and fringe booties. Very Isabel Marant! To be honest, I kind of wished they had adult versions of Berry’s sweater and skirt too! But when I saw a tunic dress at the women’s section, in the exact same shade of coral as the stripes on Berry’s skirt and the tassel on her scarf, I just knew Berry would love for us to wear these outfits together. For that French bourgeois boheme aka “bobo” look. Because clothes from MANGO Kids are designed as mini versions of pieces from the adult line, they also had “downtown” edgy looks for little girls. Something like what Aila Wang would wear – say, black skinny jeans and a grey sweatshirt. I even found a faux leather jacket! Now if only Berry can do that French “I don’t care look”, not to say she doesn’t look adorbs with her cutesy Asian pose, heehee. I mean, I was inspired by Berry’s outfit. 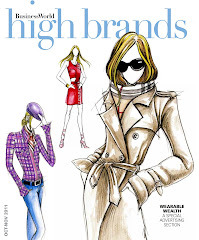 I even came up with a mommy version, each piece also from MANGO, which in my head is what something Emmanuelle Alt would wear – dark skinny jeans, the perfect slouchy tee and a fitted jacket. Seriously, if you’re looking for fun pieces for your kid to wear, you’ve got to check out the MANGO Kids line. I found so many chic finds for little girls and boys that would really make dressing up with moms, ninangs and aunties so much fun. It’s like everyday is meant for Mini Me dress up days! 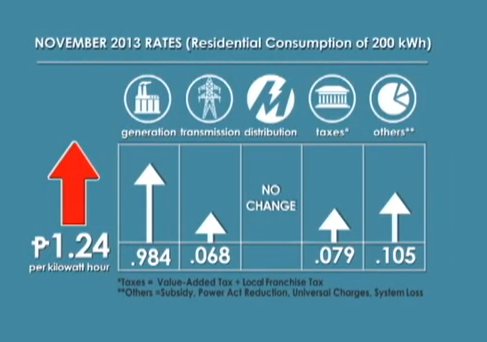 Did you know that MERALCO has a YouTube channel where they post monthly advisories? They do. 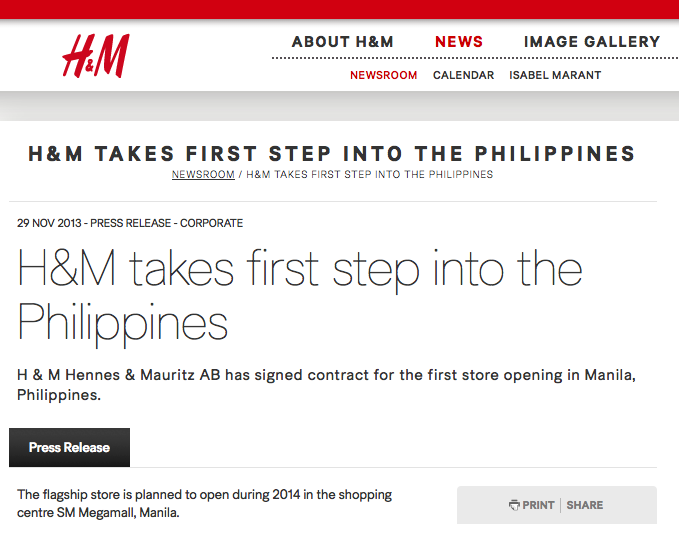 Check out their YouTube page, http://www.youtube.com/user/meralcoph for informative updates. This month, hate to break it to you, the advisory is something we should brace for because electricity rates are going UP. In other words, tataas kuryente natin! 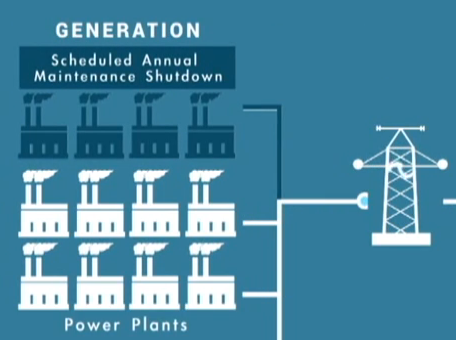 In case you didn't catch it, generation charges will increase due to the scheduled annual maintenance shutdown of power plants (not the mall, silly!) and the Camago-Malampaya pipeline. They will still be functioning but won't be operating to full capacity and as such will be using more expensive fuel for the meantime. Why it was scheduled during "peak season", that's something I will be asking about! Let me get back to you on that. Note that MERALCO, as a distributor, explained that they won't be increasing charges, but since all the other costs associated with electricity charges have increased these will be reflected on our bills. SPECIAL SUMMER PROMOTION: From now until June 30, 2014 Mind Print is offering a discounted price of P12,500 for each scan, from the regular price of Php18,000. 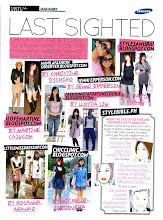 Just use code MP002, pay and confirm your scans on or before June 30 to avail of the discount. Are you left brained? Or right brained? Do you feel you will be happier doing something else? Or are you still looking for the right career for you? Should your child be in a traditional school or a progressive school? What are my child's strengths, her/his learning style, and how do I guide her/him into becoming the best person she can be? 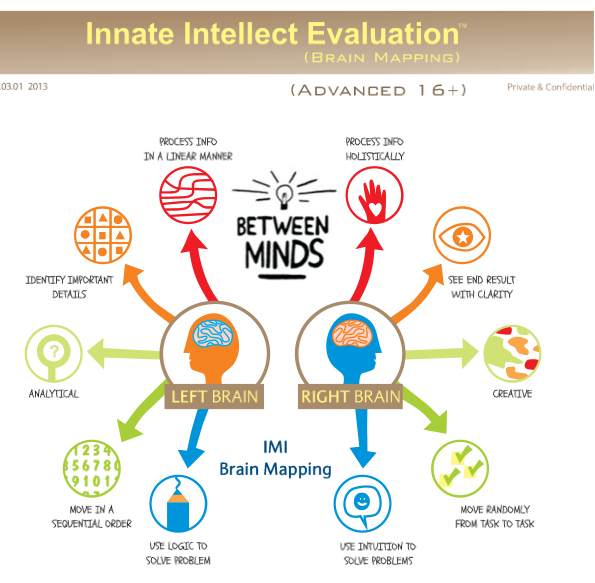 All the above questions are intriguing, but it was actually the last question that sealed the deal for me, when my friend Jenny Reyes aka My Mommyology told me about Mind Print, an innate intelligence evaluation service based on Dr. Howard Gardner’s Theory of Multiple Intelligences. Mind Print is able to generate a comprehensive analysis which highlights strengths, opportunities, abilities and limitations of the various parameters of the brain. It also generates personality type, learning style and recommended career options. All these will be provided through a simple biometric scan, no paper and pen testing required. Honestly, when I first heard about Mind Print from Jenny, I was totally blown away. 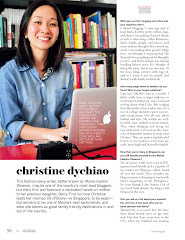 She said that Mind Print can tell much about a child's personality and learning style based on finger print scans. They can even tell the kind of school or career best suited for a person. She also told me a story about her friend who deferred big school for her child because she realized that her daughter would benefit from the smaller class sizes in a progressive pre-school. 1. There are NO written tests or Q&A's. All it takes is 30 minutes with the consultant who will take 3 fingerprint scans of each finger. 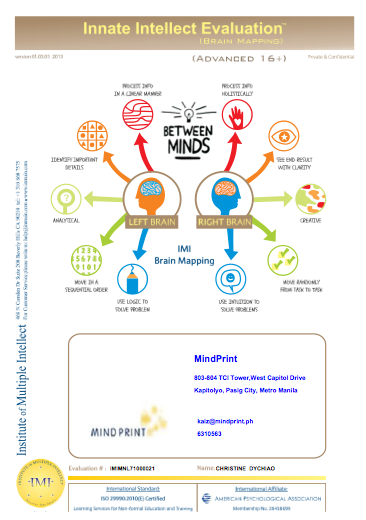 Kaiz Patel of Mind Print Philippines shared that Mind Print is all about "Innate Intelligence", and is based on dermatoglyphics, the scientific study of finger prints. He explained to me how fingerprints are our brain map. In fact, even if we burn or cut off the skin on our fingers, it will grow the same pattern. Finger prints are unalterable and unlike tests where our answers can swing whichever way based on our current behavior or mood, the reliability of the fingerprint analysis stays unbiased. You don't have to worry about kids being distracted or having to answer long winding multiple choice questions about how one would react to certain situations. It's as objective as it gets. Berry was especially fascinated when she saw her fingerprint scans on the computer screen. Enough to keep her occupied until Kaiz was done taking prints of all ten fingers. 2. Privacy assurance. Once our finger prints scans were completed, these were sent to Hong Kong for evaluation. As soon as they left Mind Print, our scans were deleted and all that the evaluators in Hong Kong know of us is attributed to an Evaluation #. No names, no ages, no briefing on backgrounds. We are just but a number. As for the results, apart from Kaiz, who took our finger print scans, the results were only privy to me, and Dada, who I asked to be in the room when Berry's evaluation results were discussed. 3. The evaluation report is a treasure trove of insights. I have always noticed certain things about Berry, and without knowing about it or discussing anything with Kaiz, Mind Print validated a lot of my observations. Take for instance Berry's ability to connect with people. She's a natural charmer. People are drawn to her. As it turns out, Berry scores high in Interpersonal Intellect, meaning, she is People Smart. Berry easily picks up new words, even languages, and she just won't stop talking aka madaldal. Not surprisingly, we found out that she is highly Verbal aka Word Smart. Kaiz also told us that Berry's Learning Domain is mostly Affective, and she easily learns by example. This reminded me of a time when Berry was watching her teacher at Global Art make a Minion out of clay and while I spoke with the teacher, next thing we knew, she made one herself, without the teacher's help! When it comes to Thinking skills, Berry is a Reverse Thinker and a Self-Cognitive Learner. Which only means, we need to be prepared to answer a lot of "Whys" because she is the sort of child who will ask a lot of questions and will persist until she gets an answer. This is just the tip of the iceberg from a host of other exciting discoveries I learned about Berry and myself. 3. There are action steps on how to strengthen intellect, ideal career options and other useful suggestions. Because Berry is an Auditory Learner, Kaiz recommends that Berry sit in front of the class every time, so she won't get distracted and can easily focus on the lessons at hand. Meanwhile, I now know why I am so good at shopping! My Innate Intelligence points out that I will do well as a BUYER! Ahihihi. Seriously now, my career options include careers in the realm of consultancy, art, literature, philosophy & religion and education and I do kind of have to agree that these are areas that I feel comfortable with, and I am glad that in some way or another, I have found myself doing things that I do love. The goal of course for Berry, is to guide her in the direction where she will do something she loves as well. As parents, we want to be able to maximize her learning potential using the best tools for learning that she is comfortable with. Kaiz even says that I can show the report to teachers and guidance counselors so they can also understand Berry's communication style. 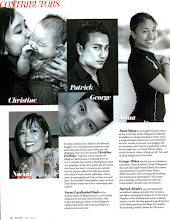 To give you an idea of what Mind Print can do for you or your child, click HERE. 4. Mind Print can help in your personal life as well. More than just intelligence evaluations and career options, it was enlightening to learn more about our personalities and how we communicate. I can now see where Berry is coming from, and can understand why & how she reacts to certain situations. It is not fair to lump kids based on age, or intellect, as each child is unique. My expectations of Berry is managed by this report, and that is why I want Dada & Xavi to do Mind Print as well. I want to be able to understand them better, and them me, so we can help and support one another into becoming the best people we can be. Now isn't that what family is all about?